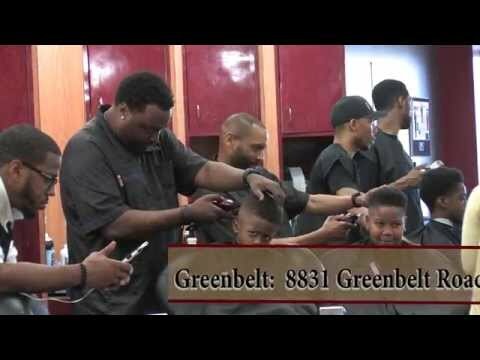 Award-winning barbershop, My Barber's Lounge, receives Greenbelt Small Business Excellence Award as they celebrate fifth year of operations in Greenbelt. MBL owner attributes entrepreneurial, customer-focused environment for its' success. GREENBELT, MD, January 30, 2017 /24-7PressRelease/ -- My Barber's Lounge has been selected as the 2016 Greenbelt Small Business Excellence Award in the Barbers classification by the Greenbelt Small Business Excellence Award Program. Each year, the Greenbelt Small Business Excellence Award is given to local small businesses that have demonstrated the ability to grow their businesses through excellent customer service and community involvement. My Barber's Lounge (MBL) is an award winning barbershop. In 2014, My Barber's Lounge was Voted Best Barbershop in the Country at the 2014 Neighborhood Awards, hosted by TV and radio personality Steve Harvey and presented by Ford Motor Company. My Barber's Lounge was also named the best business in the Hair Salon (Barbershop) category by Gazette Newspaper readers in 2013. MBL's success has been attributed to its' entrepreneurial, customer-focused environment. E. Davon Kelly, owner of My Barber's Lounge and NOVAD Management Consulting, and founder of The 13th Man, expressed his appreciation for this acknowledgement, "As we celebrate our 5th year of operation in Greenbelt, we are especially grateful to receive this award. This award indicates that MBL is interwoven into the fabric of the Greenbelt community. Greenbelt is a great place to do business!" My Barber's Lounge is located at 8831 Greenbelt Road in the Cipriano Plaza Shopping Center in Greenbelt, MD and 3436 Donnell Drive in Forestville, MD. For further information, email us at info@mybarberslounge.com. For appointments call 301.552.3730 (Greenbelt) or 301.735.4645 (Forestville), and visit http://mybarberslounge.com. The Greenbelt Small Business Excellence Awards recognizes outstanding small businesses tha serve the Greenbelt area. Recognition is given to those companies that have shown the ability to use their best practices and implemented programs to generate competitive advantages and long-term value. These are small businesses that enhance the positive image of small business through service to their customers and our community. These exceptional companies help make the Greenbelt area a vibrant and vital place to live. The Greenbelt Small Business Excellence Awards was established to reward the best of small businesses in Greenbelt. Our mission is to award the small business community's contributions to the U.S. economy. Learn more about this award winning barbershop!